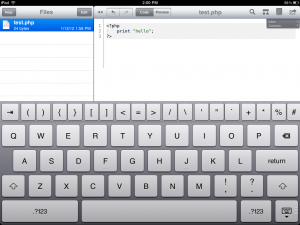 Textastic Review - Our thoughts on this IPad IDE - Amplitude Design, Inc. 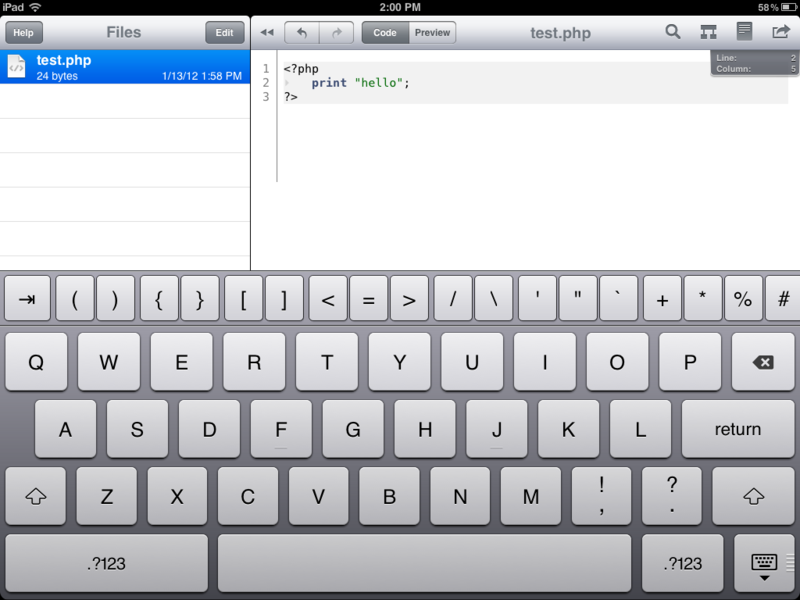 I needed to dump my laptop for a few days, so I figured I’d give an IPad IDE a shot. You never know when small changes need to happen, and again, I don’t want to lug my laptop. I am already carrying a surfboard. The solution was to download Textastic. Setup was intuitive, and I had no problem editing PHP files. Setup your connection to the server using the desired protocol. Download files to your local files, or create a directory. The file is now on the Ipad, and you click on it to edit. Upload the file back to the server. The code highlighting works well and my back will thank me! The code editor includes a custom keyboard layout (see image below). 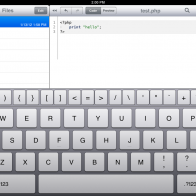 I would recommend Textastic to any web developers who needs to edit files on the go.